Your inner history buff will appreciate Anne Frank House and Museum Van Loon. Head to The Mauritshuis Royal Picture Gallery and Leidsepleinfor some retail therapy. Get out of town with these interesting Amsterdam side-trips: Haarlem (Grote Markt & Frans Hals Museum). 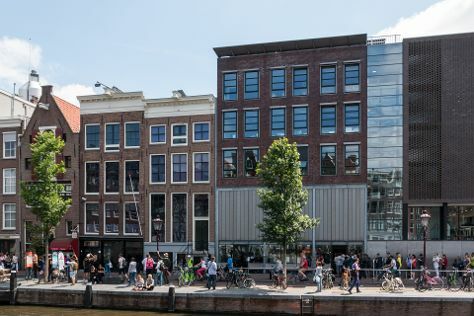 There's lots more to do: take an in-depth tour of Van Gogh Museum, explore the world behind art at Museum Het Rembrandthuis (Rembrandt House), take a stroll through The Jordaan, and shop like a local with De Negen Straatjes. To find more things to do, maps, and more tourist information, use the Amsterdam online journey builder . If you are flying in from Egypt, the closest major airports are Amsterdam Airport Schiphol, Eindhoven Airport and Eelde Airport. In November in Amsterdam, expect temperatures between 12°C during the day and 5°C at night. Finish up your sightseeing early on the 19th (Mon) so you can travel back home.